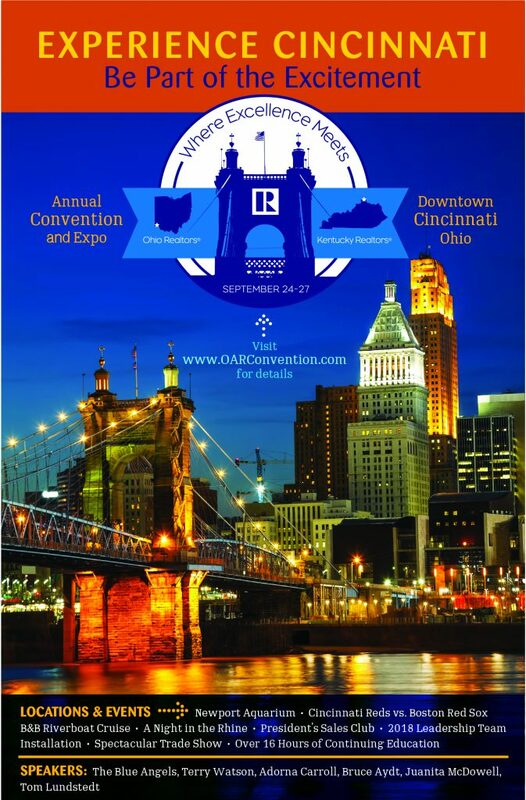 The 2017 OAR Annual Convention and Expo will be held in Cincinnati on September 24-27. 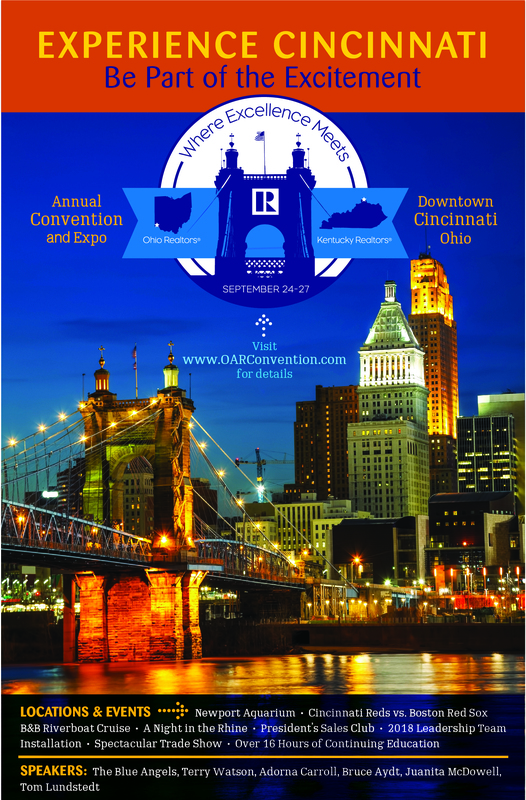 It will be a joint convention with Kentucky REALTORS®. CLICK HERE for the convention schedule, speaker bios, expo, hotel and sponsor information and to register.